Hello fellow bloggers! I must apologize for my absence. The holiday season was exceptionally busy this year. I got, quite literally, no crafting done. Then right after New Year's I came down with the flu. Needless to say, I have been out of commission, hence the lack of posting. 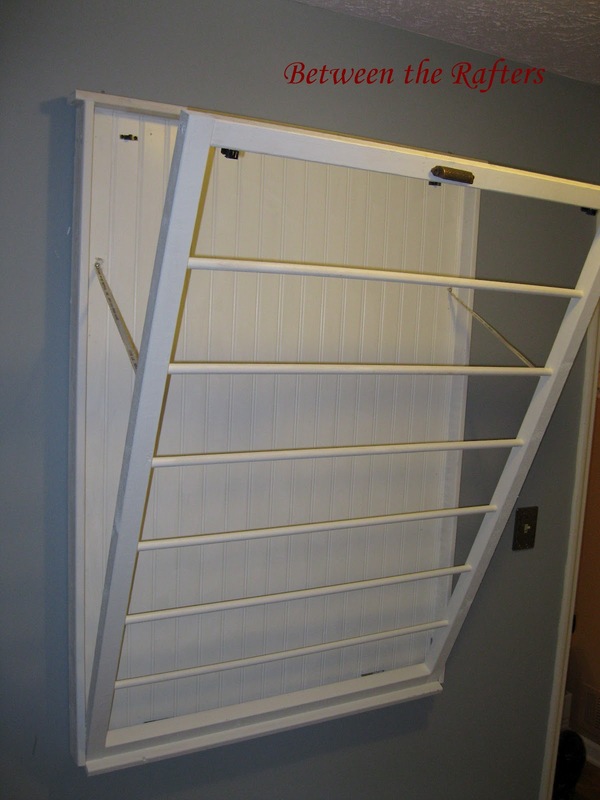 This week's project was a laundry drying rack. 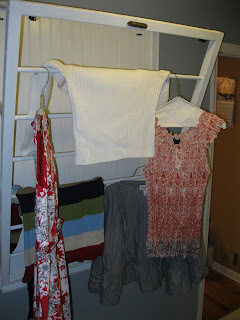 I line dry more of my clothes than not, so it is important to me to be able to have a space to do so. Why do I line dry my clothes you ask? Well, it saves money, by not using energy for drying, and it saves money by extending the life of my clothing. Those little fibers you find in your lint catcher are your clothes coming apart! Who doesn't like saving money?!? 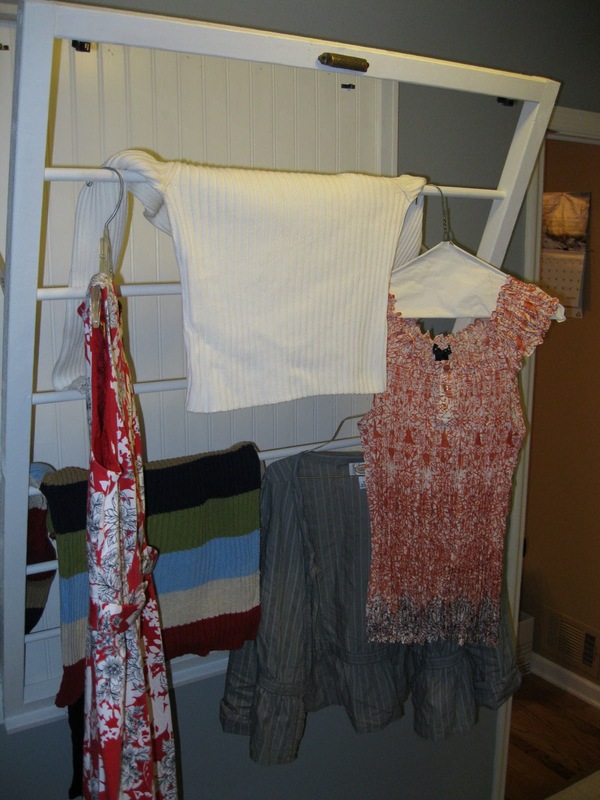 Before my laundry room redo (which you can find here) I was able to hang clothes on the wire rack over my washer and dryer. After the redo, I had no such place. Once again, in steps my wonderful step-father to the rescue. Granted, it was my mother's idea, but my step-father made it as a birthday present so we'll give him the credit (thank you for asking him to make it Mom). Here is the inspiration for our design. This laundry drying rack comes to us courtesy Ballard Designs. It retails on their website for a cool $139, plus shipping of $20.95, plus taxes of $9.60, for a grand total of $169.55. Mine was made for less than $25 in materials. And at the top of my drying rack is a handle to help you get it open. Take that Ballard!! Remarkable isn't it?!?!? We modified the size slightly to accomodate the area I needed to hang it in, but other than that, it's essentially the same thing. For less than 1/4 of the price! Not that you all really want to see a picture of my clothing, but here she is doing what she was made for. 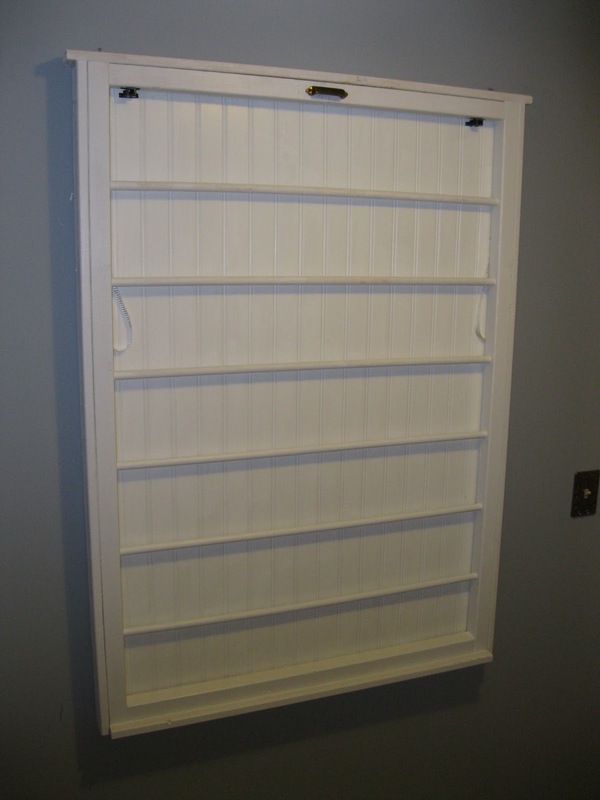 And just in case you're wondering what the rack looks like when it's closed. It only hangs out from the wall a little more than three inches. Wow! That's inspiring! I want one now. I love your drying rack. I pinned it (hope you don't mind). Hopefully I can get my husband to build me one. 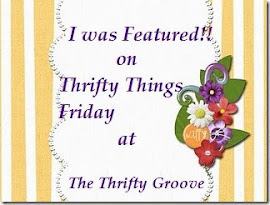 Visiting via The Thrifty Groove. First time visitor and new follower. I AM good with power tools and I Soooo love that. May I copy that? Soooo cool! I've admired that drying rack at Ballards for quite some time now. Glad you get to have one...even better that is was made for you. Yes it is very remarkable. GOOD job! Thanks for linking up to my newbie party. Thanks so much for linking up to the Show & Tell party. Glad to have you join mrshinesclass. I've joined you too! (via google friend connect) looking forward to seeing more of what you have in store! Love this! Can I borrow him? Genius!!! This was such a smart project thanks for the inspiration. Stopping over from your newbie feature. Great knock off, and so useful. Just saw this post as I was searching for a way to make one for myself. 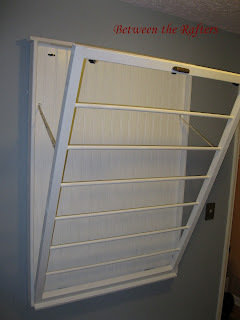 I just wanted to add that I will be using an extra cabinet door for the back piece, so it will match my laundry room exactly! 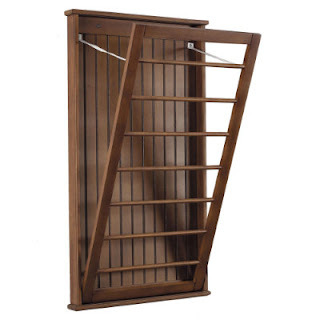 Just a thought if anyone has "leftover" pieces from a remodel. Cool beans! 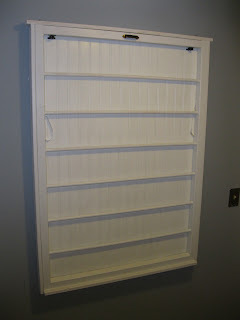 I will make something similar for my wife :-D . A great space saver and looks great! Thanks! Love this! What size is yours? What are the dimensions? I made one too and love it!